New collection of my miniature dollhouse art for 2018, this online art exhibition on my website has 6 dolls house size paintings, all painted in January 2018. 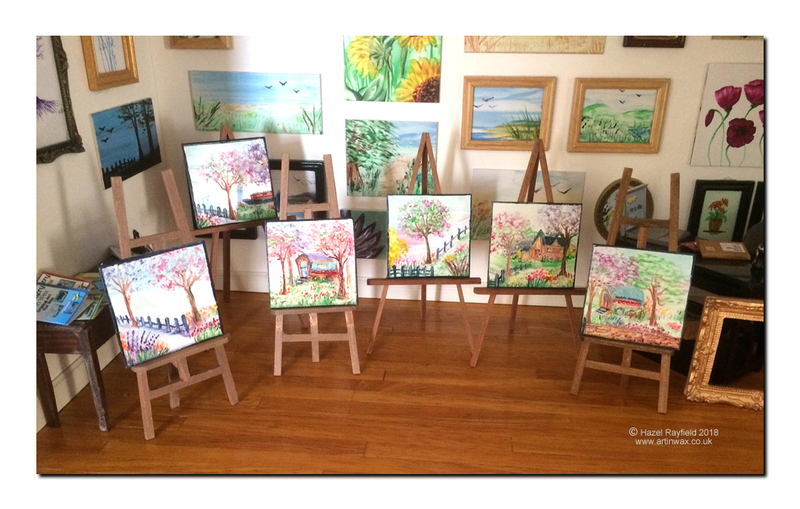 Each is just 2 x 2 inches and are shown here on display in my own 1:12 scale "dolls house size" miniature property an Art Gallery named The Gallery. 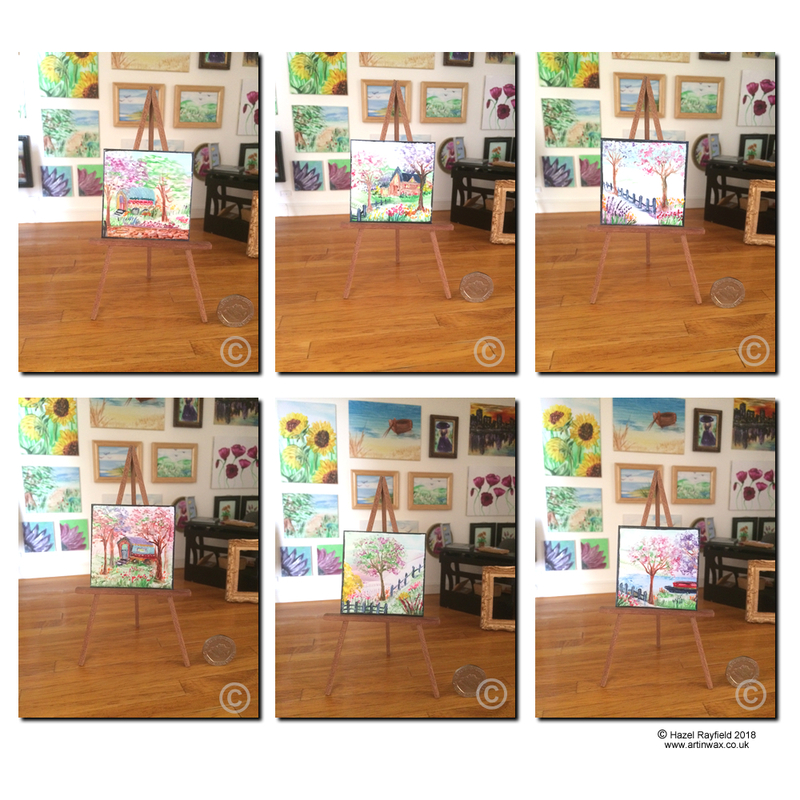 This new seasonal theme, online exhibit of paintings, each painted in Encaustic wax paints. There is also a blog post Dolls House Spring Landscapes: which has a section for comments if you would like to say what you think of these new pieces of miniature Art In Wax.